Welcome to the first installment of Mike’s Walkers – Pup of the week! Our first honoree is named Willow. 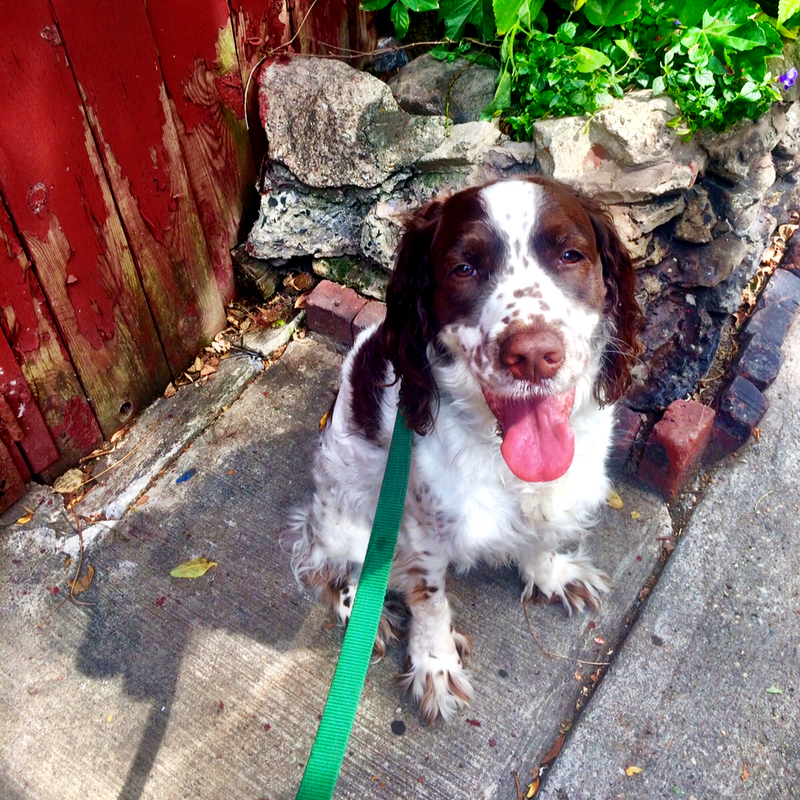 She’s a sweet, beautiful English Springer Spaniel, and we love her to pieces. This photo was taken by her Chelsea dog walker Justine. Welcome to the team, Rachel! I’d like to officially introduce everyone to Rachel, our newest team member. She’s pretty great, and we’re super-lucky to have her! Rachel grew up in the small town of Glenelg, Maryland with two dogs, four cats, a hamster, six guinea pigs, one lizard, two turtles, and a small school of fish. She currently has two furry guinea pig sons, Russell and Nathan. Rachel studied classical vocal performance at The University of Maryland, College Park and is now a pop/soul singer-songwriter and music teacher. 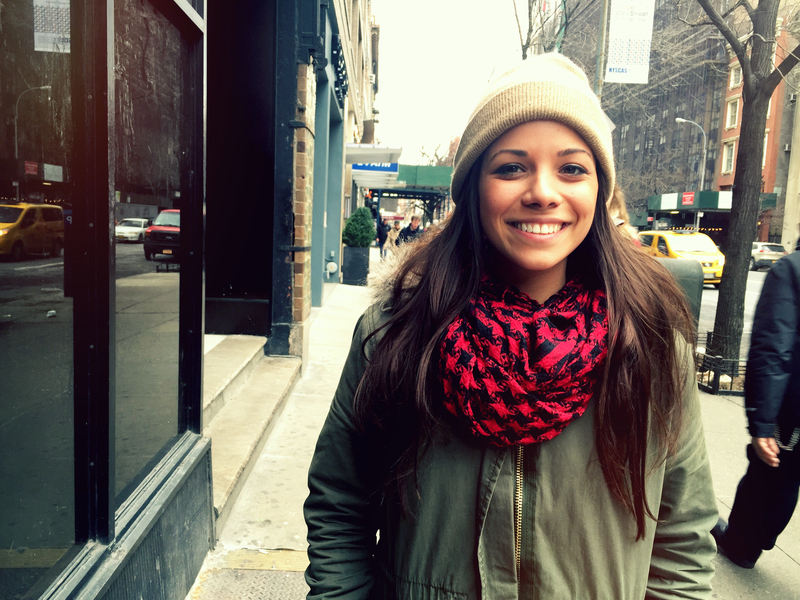 She is also a passionate and dedicated vegan who loves getting involved in animal activism and trying out all the amazing vegan restaurants NYC has to offer! 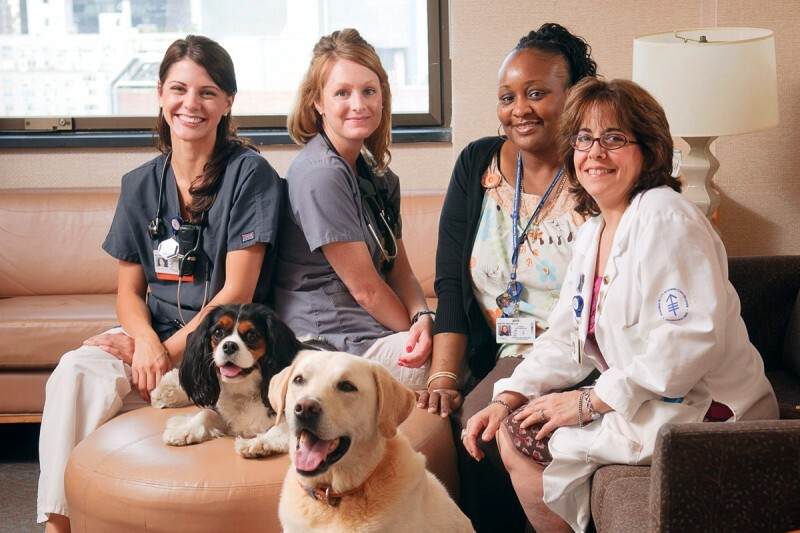 Check out this wonderful canine therapy program at Sloan Kettering. Someone, please get one of these awesome bow tie dog collars. I just had to share this. 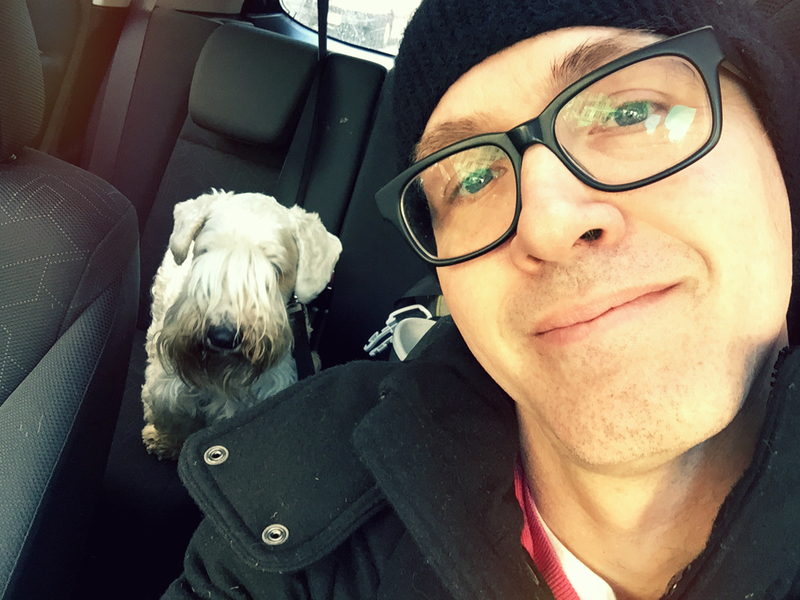 I’m not officially adding a service to our list, but I did transport long-time client Logan from the office in Manhattan to his groomer in Brooklyn yesterday. His human had asked if one of the walkers would be able to take him there in a care service, but I offered to do it myself. I have a car, it was fun, and I had the time…AND I couldn’t resist snapping a selfie! We’ve been taking care of this stately, bearded fellow for more than a decade now, and it was awesome to get to spend a little time with him yesterday. He’s such good company that I wasn’t even bothered by NYC traffic! BTW, I was not driving when I took this photo!! Hands-free all the way, folks. I’ve added a new book to my list, Dog Medicin e: How My Dog Saved Me From Myself. It looks great and appears to tell a tale that won’t surprise us animal people – dogs are good for the soul. I’m sure anyone reading this post is enough of a dog person to have felt the healing effect of canine companionship during hard emotional times. I’m looking forward to reading this. The magic of the Kong. Hey everyone. I’m just sharing this article called “The Art of Kong Stuffing”. It’s a helpful reminder of what a great tool the Kong can be. I’ve had so many clients who’ve used it to help diminish separation anxiety, but it can also be a handy tool for addressing other stressful situations for your dog. Construction next door, the arrival of visitors, fireworks, etc. Some of the recipes suggested for stuffing are pretty fancy, of course. 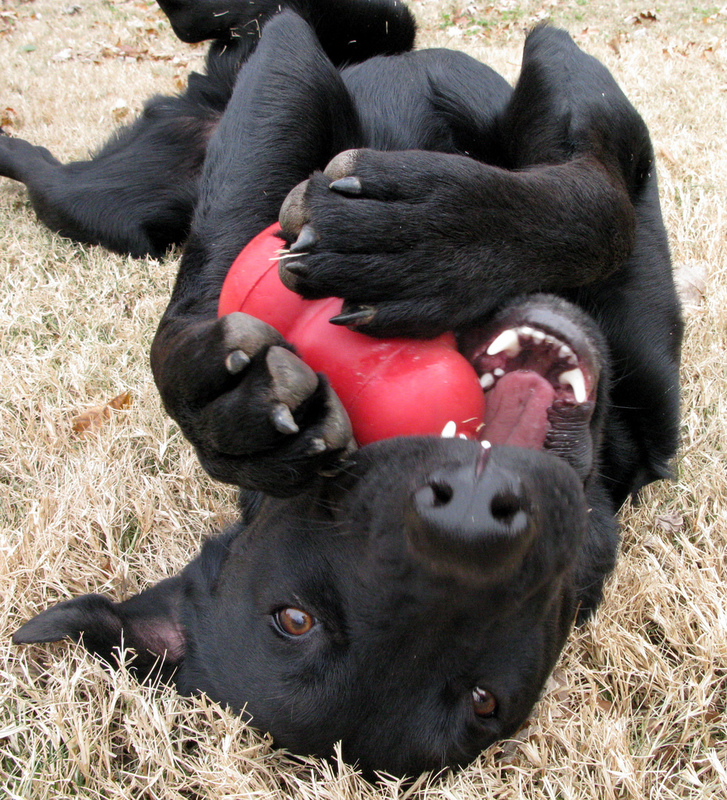 Pretty much anything your dog enjoys that can be stuffed in the Kong will work. The additional reminder that freezing the stuffed Kong can provide a greater and longer lasting challenge for the dog is valuable. Keeping a few stuffed Kongs in the freezer is a great idea for handling the unexpected. Anyway, enjoy the article! There you’ll find in-depth info on techniques for training, games, details pertinent to your dog’s age and size and much more. It’s certainly always good to head straight to the source!